Whilst worthy of coverage in its own right, the similarities between the formal reopening of part of the former route down to Tweedbank, by Her Majesty the Queen, and the opening of the new inland route (the Pomorska Kolej Metropolitalna) between Gdansk and Gdynia are striking. Both the Borders Railway, and the routes are effectively old routes relayed and reopened with new stations. Neither is electrified. The 19.5 kilometre long Gdansk line provides a direct connection to the airport on the alignment of the pre-war line from Kokoszski to Wrzeszcz, with a new chord built at the western end of the line to connect with the non-electrified line to Gdynia. Train services on the line are provided by ten diesel railcars, built by Bydgoszcz based PESA. Both routes featured steam haulage as part of the official opening. Her Majesty was conveyed by the royal train from Edinburgh to Tweedbank hauled by preserved A4 “Union of South Africa”. John Cameron, who has owned the locomotive longer than its original builder, the LNER, and British Railways combined was present on the footplate for the occasion. 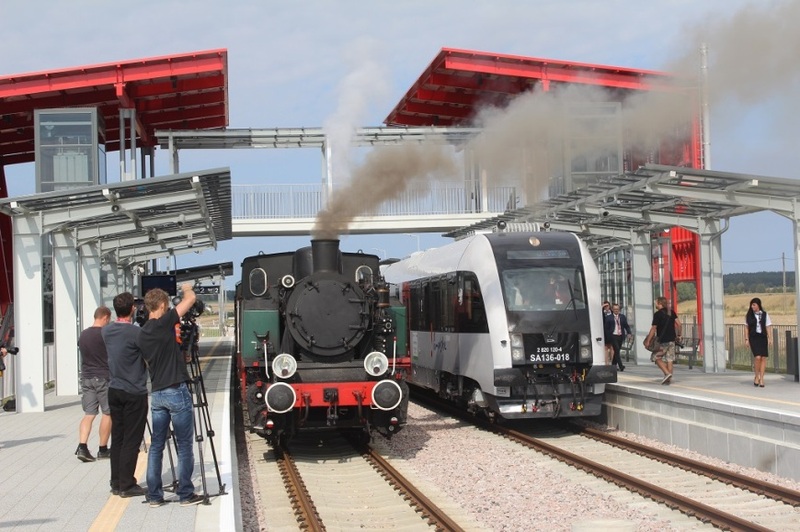 Poland’s new line (Pomorska Kolej Metropolitalna) also had steam present for its official opening. TKh05353, owned by DB Schenker, and loaned to and operated by KSK Wroclaw was brought in specially for the event. You may be forgiven for wondering why such a diminutive industrial shunter was brought in to feature in such a prestigous event. 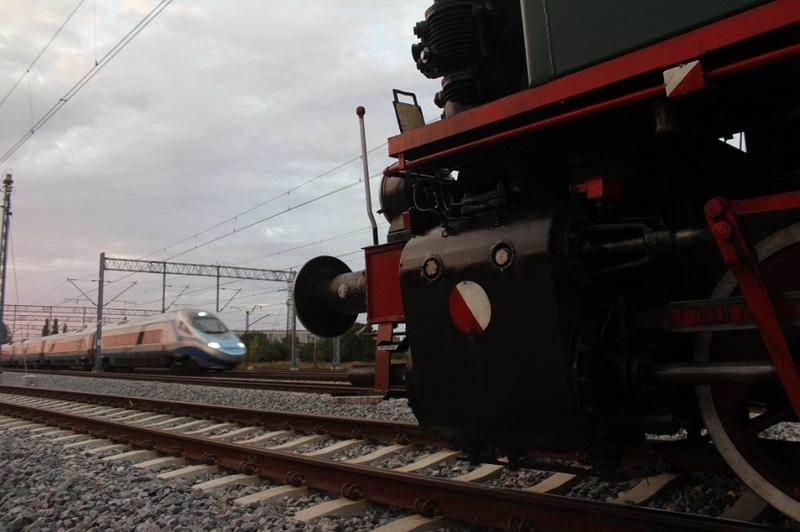 After all, with Poland’s Prime Minister Ewa Kopacz conducting the opening of the first major new passenger line in the last 25 years, you would have thought that a more suitable locomotive could be provided. Apparently not. Despite Poland still having steam locomotives with PKP Cargo, neither Wolsztyn nor Chabowka were able to provide a locomotive to cover the event. Wolsztyn had already contractually committed to provide steam haulage for a TurKol special with their sole in-ticket Ol49, and therefore understandably had to honour that commitment. It is unclear why Chabowka were unable to provide one of their four in-ticket locomotives for the event. Originally restored at the former sand railway works at Dzierzno, near to Pyskowice, TKh05353 was operated and maintained by DB Schenker. Following the sale of the works, the locomotive was moved to another DB Schenker workshop in Rybnik, where it only saw limited use. Subsequently it has been loaned to KSK Wroclaw who have successfully overhauled the engine, and had it recertified for further operation. Behind the Water Tower congratulate KSK Wroclaw on their success at operating the locomotive, and for providing a professional service at the opening of the Pomorska Kolej Metropolitalna.